Obama Encouraging 'Diplomatic Assault' on Israel? Palestinian officials tell WND the Obama administration is only giving lip service to resisting a Latin American declaration recognizing a Palestinian state outside of a the framework of an agreement with Israel. In what amounts to a diplomatic assault on Israel, Argentina and Uruguay last week announced they were joining Brazil in unilaterally recognizing an independent Palestinian state. "The Argentine government recognizes Palestine as a free and independent state within the borders defined in 1967," Argentine Foreign Minister Hector Timerman said. 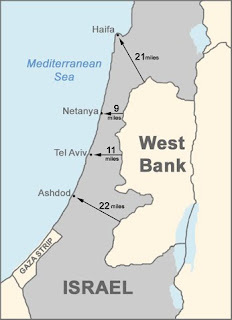 The 1967 borders refer to the entire Gaza Strip, West Bank and eastern sections of Jerusalem, including the Temple Mount – the holiest site in Judaism. Timerman said the decision to recognize a Palestinian state stems from a "deep desire to see a definitive advance in the negotiation process leading to the establishment of a just and durable peace in the Middle East." Publicly, the U.S. was quick to rebuke the decision by Latin American countries. "We believe such recognition is premature," William Burns, U.S. undersecretary of state for political affairs, told reporters in the Chilean capital Santiago. "It's only through negotiation between the parties themselves, Palestinians and Israelis, that we'll be able to realize the two-state solution," he said. Palestinian Authority officials, however, told WND the Obama administration has not privately lobbied the Latin American countries against their recognition, with more Central and South American nations expected to join the fray. "In actuality, Obama is not doing anything to prevent more countries from recognizing a Palestinian state," one PA official told WND. The official said Prime Minister Benjamin Netanyahu's government proposed an interim, five-year initial deal with the PA in which the Palestinians would take full control of more territory as they work economically with Israel. Netanyahu believes rebuilding the PA's infrastructure and economy from the ground up is the key to a future agreement. The PA official said the Obama administration rejected a temporary agreement and is instead siding with the Palestinian demand that talks begin with setting final borders of a future Palestinian state. The official and other PA sources told WND the White House seeks to establish a Palestinian state, at least on paper, by next summer. The PA sources said the Obama administration favors a negotiated settlement, but the sources said the White House implied the U.S. will not oppose a U.N. Security Council vote to unilaterally declare a Palestinian state. The threat to create a Palestinian state using a U.N. vote is not new. Last year, Ahmed Qurei, former PA prime minister and member of the Palestine Liberation Organization executive committee, told WND in an interview that the PA "reached an understanding with important elements within the administration" to possibly bring to the U.N. Security Council a resolution to unilaterally create a Palestinian state. Asked to which "elements" he was referring, Qurei would only say they were from the Obama administration. Israel this week called the Latin American recognition of a Palestinian state "highly damaging interference" by countries that were never part of the Middle East peace process.